Low Current Series Remote Starters are designed for vehicles with low current ignition systems. Most late model vehicles have a low current ignition switch. Typically these vehicles have small ignition switch wires with 1 ignition and 1 accessory or starter wire. This includes mostly all 2007 and newer GM, Chrysler, Ford and some import vehicles. One of the benefits that the LC series provides is smaller 18 gauge wires for easy connection to low current ignition switches. In addition, other examples of using the LC series are push to start vehicles and new Chryslers that have no ignition wires at key cylinder. 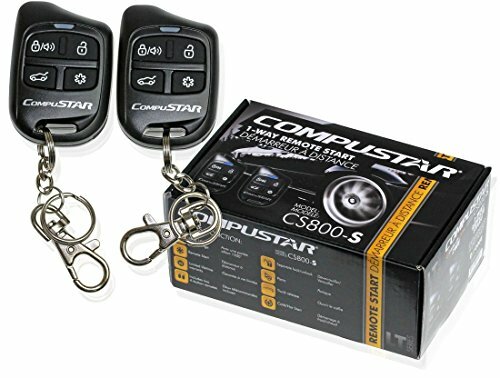 The LC series is ideal as it can remote start these vehicles through data using a bypass module. 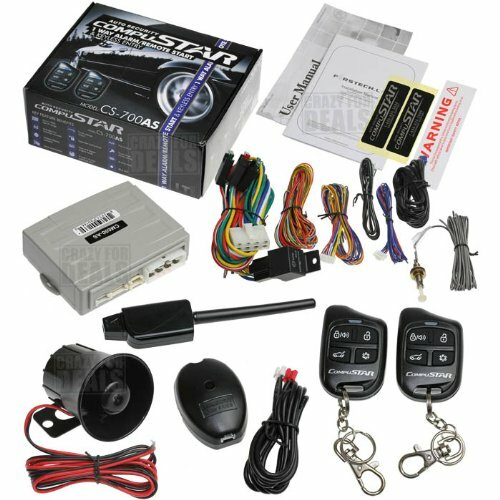 Some of the features include OEM remote integration with 3-press lock which is equal to remote start. 4 remote outputs to control left and right sliding doors, gas cap and trunk release without any extra wiring. The system can also be programmed as a 1-way or 2-way system by just changing the antenna and remotes. There are 26 options to customize the system to your needs. 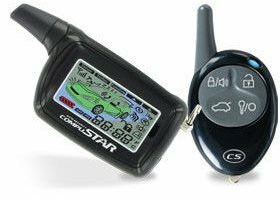 For vehicles that require more connections, the LC series remote starter has extra (-) inputs and (-) outputs to complete the installation. Older vehicles with larger ignition wires should use the regular Cool Start high current remote starters which have 14 gauge wires to power the high current ignition switches. Start your engine with the push of a button from up to 1500 feet from your vehicle. 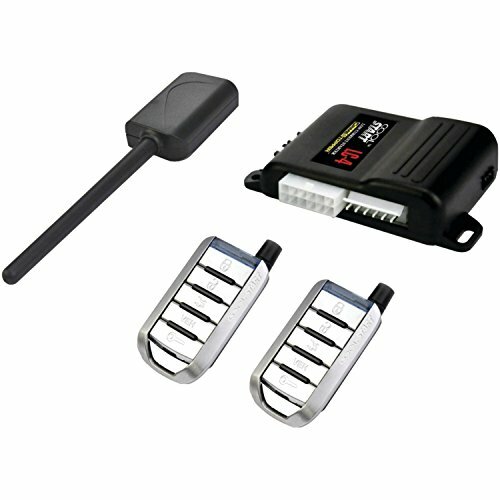 This is a 1-way remote start system that uses (2) ultra-compact extended range 1-button transmitters to operate. Although there is no keyless entry feature on this system, it has an unlock feature that allows the user to unlock the doors by pressing and releasing the start button once the engine is running. Other features include data ports, tachometer sensing and horn honk manual transmission operation and is diesel engine compatible. 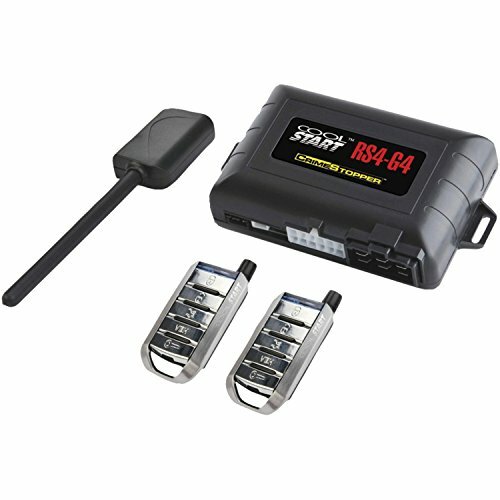 This is a 1-way remote start system with two 5-button ultra slim transmitters. Includes rear glass or trunk pop feature standard. Start your engine with the push of a button from up to 1500 feet from your vehicle. It uses (2) ultra-compact extended range 5-button transmitters to operate. Keyless entry and trunk pop are included with this system as well as auto locking and unlocking with ignition. Other features include: Twin data ports, tachometer sensing, horn honk and extra auxiliary channels through data for vehicles with sliding doors or rear glass pop. Remotes are new ultra-modern designs with DuraLight construction. Up to 1000-Ft of Range - Powered by Amplitude Modulation (AM). Send commands from up to 1000 feet awayRemote Start - Hold down the KEY button for 2.5 seconds to remotely start your engine to heat up/cool down your vehicle.Keyless Entry - Press the LOCK or UNLOCK buttons to remotely lock and unlock your vehicle's doors from extended distance.Trunk Release - Hold the TRUNK icon to pop your trunk or to activate your power liftgate.Diesel-Engine Ready - This remote starter can be safely installed onto a diesel-engine vehicle.DroneMobile Ready - Pair this system with a DR-3400 to add smartphone control and GPS tracking.Vehicle specific bypass module sold separately.